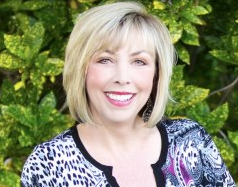 If you are looking to learn how to do Social Media right or ramp up the results you are getting with your Social Media Marketing – Twitter, Facebook, Linked In, Pinterest,, Google Plus, Youtube,, I would encourage you to take a look at the Cyber Monday AWESOME special that Boom Social with Kim Garst is offering through November 26, 2012! Kim is recognized by Forbes as one of the top 50 Social Media Influencers in 2012, she has been recognized by Social Media Examiner as having one of the top 10 Small Biz Facebook Pages “>as well as being recognized as one of the top social media bloggers by KRED.com and the list goes on and on …. The point of my telling you that is that Kim knows what she is doing when it comes to Social Media. And best of all, she believes that “You Can Do” Social Media really well too!! As a matter of fact, Kim’s “You Can Do” Inner Circle is helping people with absolutely no Social Media experience get the training and support they need to get the results they want to see from their Social Media Marketing efforts. The “You Can Do” Inner Circle truly is a small business owners “BFF”! And for those who already have Social Media experience, the “You Can Do” Inner Circle provides cutting edge training that will help you supercharge the results you get with Social Media. I know that it has helped me improve the results I get for myself and my clients! The community includes a variety of topic experts in addition to Kim (online marketing, branding, sales, press releases, content, and WordPress to name a few) who are ready and waiting to help you figure out how social media applies to your unique situation and business. Kim is doing an insane Cyber Monday promotion for the “You Can Do” Inner Circle. She is offering a 50% discount on the monthly membership which is usually $97 per month. Through November 26, 2012, the price is $47 a month. The amount of training and support the group provides is OUTSTANDING! It’s THE resource I rely on when I have questions I need answers to. To review exactly what is offered in the “You Can Do” Inner Circle, click right HERE and you will be taken right to Kim’s site, where you can review the information and get signed up if it is something that speaks to you. You have until midnight, November 26, to take advantage of this incredible offer! Kim is also offering an incredible promotion on her premium Twitter training course – Twitter Muscle! Alot of people, especially small business owners, just don’t “get” Twitter. However, for those that do, Twitter is a Marketer’s Dream in connecting to ideal clients, with over 500 million users who are searching for information, looking to connect, and build relationships. They are also craving a great company to buy from! The statistics of both large and small companies using Twitter prove this to be true. TWITTER MUSCLE is Kim’s proven system for creating a massive, targeted list of followers! It can help shorten your learning curve and teach you the exact system Kim’s uses to get high quality targeted followers. It can help you find your ideal clients online, through Twitter and get people who are interested in your products and services to follow you! For today only, CYBER MONDAY, Kim is offering a 55% discount on Twitter Muscle! If you are ready to build your Twitter biceps, be stronger and get the muscle in your Twitter account that you need in today’s social world, then you owe it to the success of your business to click HERE and review everything that is included in this amazing course! Even if you personally don’t understand Twitter, this is for you. As a matter of fact… it’s perfect! At this price point, it would be foolish for you not to get the course! Investing in you and your business truly is one of the best investments you will ever make! Click HERE to review what Twitter Muscle has to offer!! ps … Just in case you are wondering … I am NOT receiving any sort of compensation for sharing these products and services with you. I use and own both of them. My business grows because I use them. I want your business to do the same. I will only recommend products and services that I personally use and endorse! I will never recommend a product or service just because there is a commission attached to it. That’s not how we roll! pps … Now that you’ve read all of that … head on over to Kim’s site and get yourself setup for success!! If you sign up for the “You Can Do” Inner Circle give me a shout when you get there!! Can’t wait to see you on the inside!